Couples tie the knot at Love Lakes in Al Qudra, Dubai. 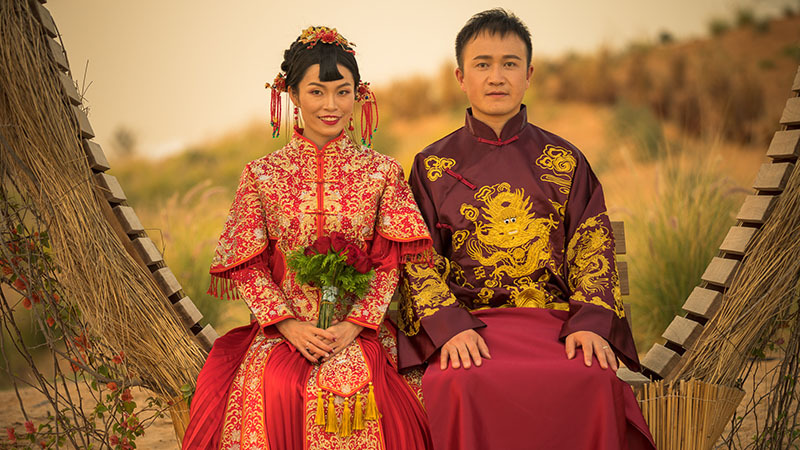 DUBAI – Nine Chinese couples tied the knot in Dubai’s Love Lakes in a first-of-its-kind mass wedding at the romantic venue in the Al Qudra desert. 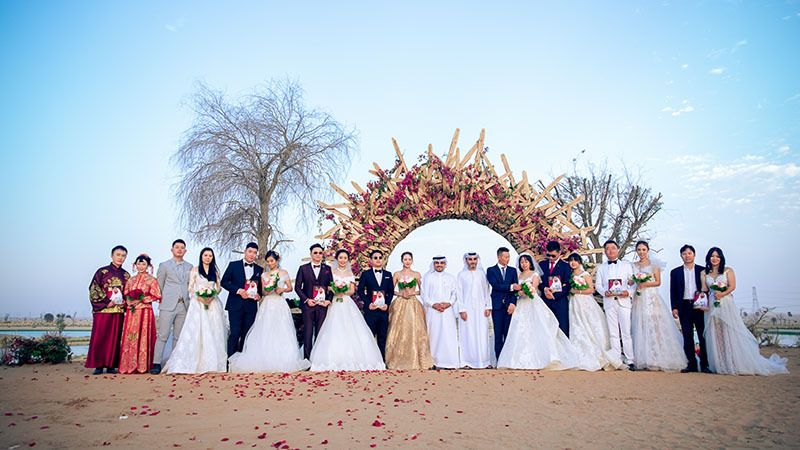 The group wedding was hosted by Hala China, a joint initiative by Meraas and Dubai Holding last Thursday as a show of international tolerance, love and respect.